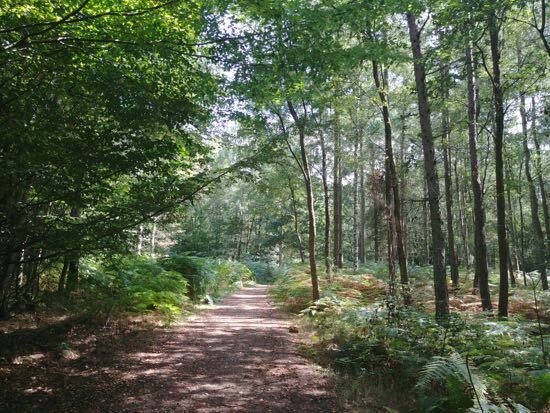 A great walk for those hot sunny days when you want to escape the sun and enjoy a good ramble in the shade. Plenty of up and down along the way, with loads of bridges, elevated walkways and stairs. 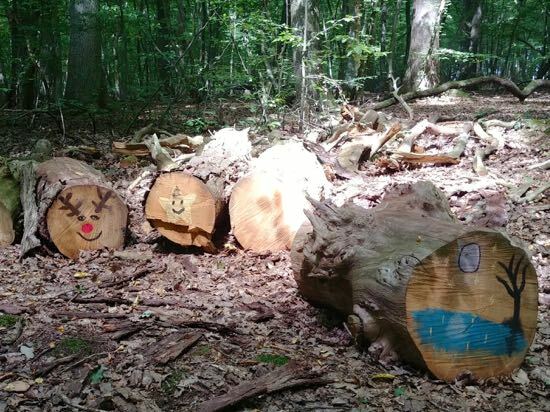 See if you can spot the painted logs on the right of the path between points 2 & 3. When we walked the route in August there were quite a few midges and flies bugging us, but we always carry insect repellant and didn't get bitten. Unlike most of our walks this one doesn't pass by a pub, so take refreshments with you. There is a picnic table at the end just before you reach the car park. 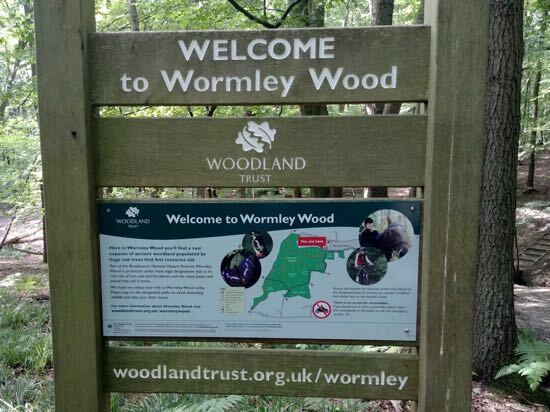 Wormley Wood is managed by the Woodland Trust. Park in Bencroft Wood (West) car park on the south side of White Stubbs Lane (Grid Ref: TL326064). It's a free car park but has limited space. 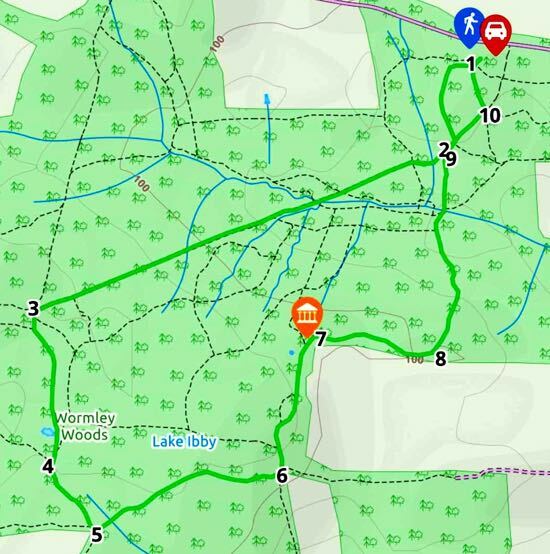 You will find a sign in the car park with a map showing two trail options for Bencroft Wood, but your route is not on this map, although the first section uses one of the paths to access Wormley Wood. 1: From the car park head south-west following the wooden signs with the purple circle around the top. Continue as the path heads south downhill, first down some wooden steps and then along a wooden elevated walkway. 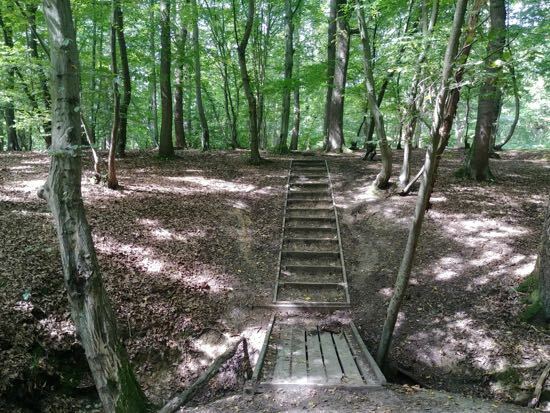 2: When you reach a footpath junction turn right and head south-west down to a stream which you cross via a wooden footbridge and then climb the other side using wooden steps. This is quite a steep but short climb. You will now be following posts with a pink line around the top. 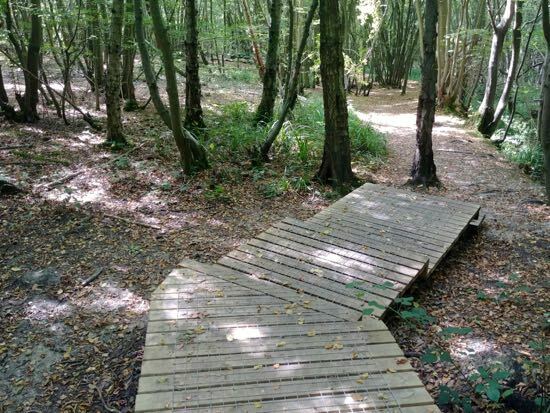 Continue heading in a straight line south-west along this path as it crosses a couple of wooden footbridges. See if you can spot the painted logs on the right of the path. 3: At the point where the track meets a footpath T-junction turn slightly left and head south following the signs with the green tops and white admiral butterflies. This is the only exposed part of the walk and you will spend about five minutes walking along an elevated walkway with flowers either side. 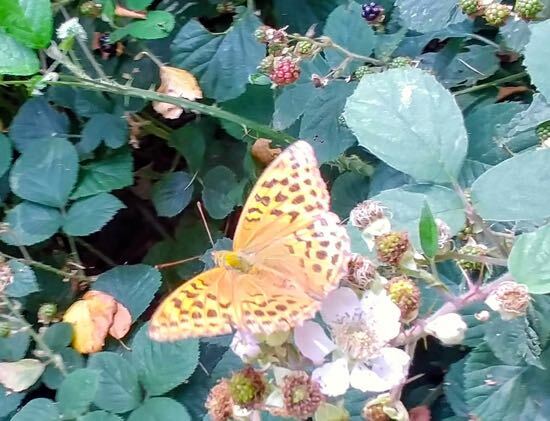 Look out for butterflies along this part of the path. It's a charming section. 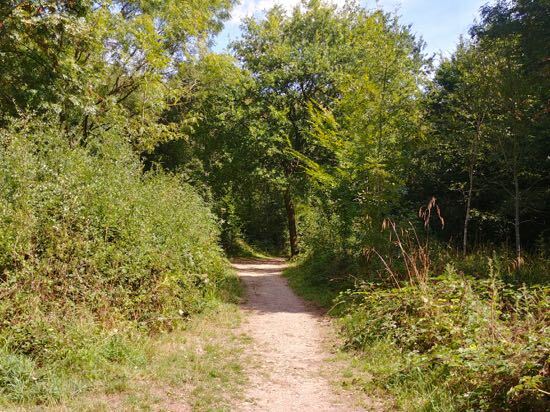 4: Continue heading south along this path ignoring smaller paths to your right and left. 5: At a footpath crossing turn left and head north-east through the woodland. 6: At the next footpath crossing turn left and head north. 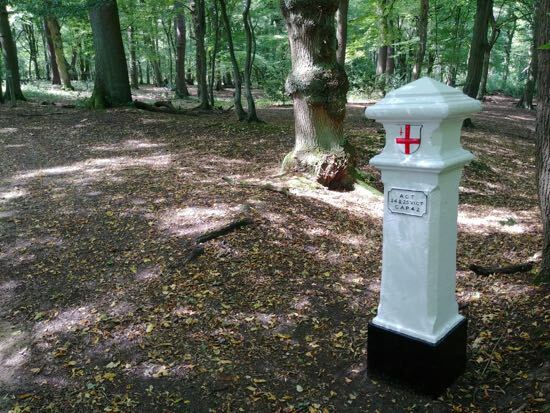 7: You will soon reach the coal post (Grid Ref: TL322057), where you turn right and head east. 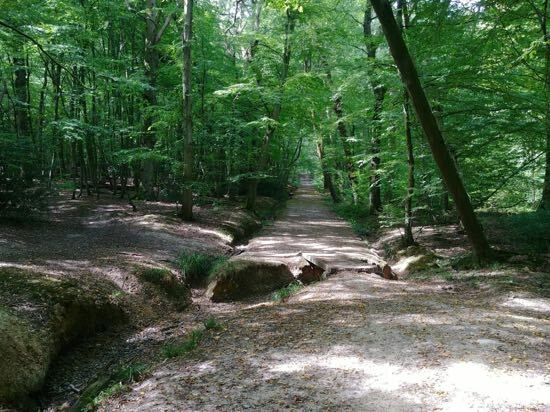 There is a piece about the coal posts of south Hertfordshire on our other site, the North Mymms History Project. 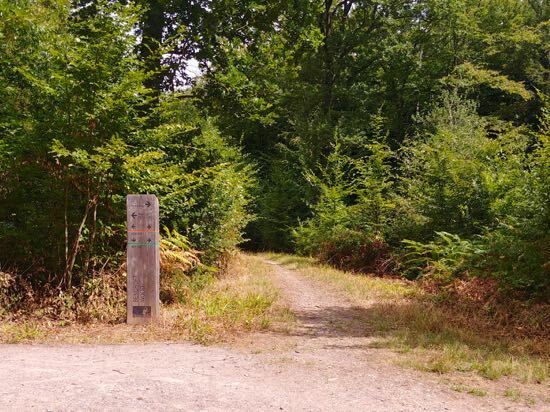 8: Follow the path as it bends to your left and heads north back to point 2 on the route (Grid Ref: TL325060). 9: Turn right and follow the path north-east a short distance. 10: At the point where a track crosses your path, turn left and head back to the car park. Those with smartphones and tablets can use the interactive map below which also contains KML and GPX data.